Why did the chicken cross the road? TO TAKE OVER THE WORLD!!! 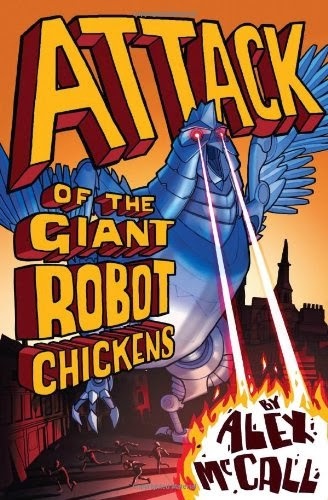 The city of Aberdeen is being terrorised by giant robot chickens who want to peck out every last sign of human resistance. The streets are empty, the adults have vanished - and those left behind are fighting for survival. Jesse and his friends are desperate to save their families and stop the feathered fiends. They hatch a master plan ...but can a gang of kids REALLY defeat an army of angry robot chickens? A hilarious, weird and wonderful adventure from a cracking new author.